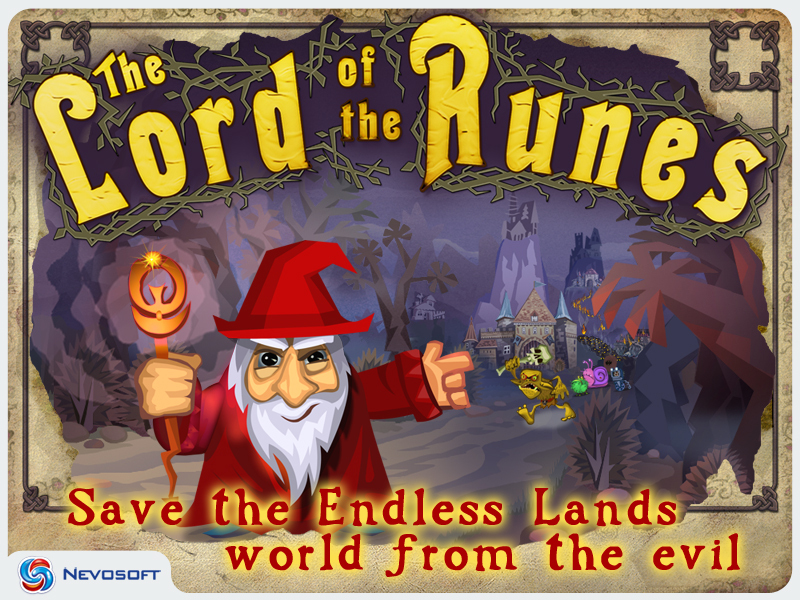 Game Lord of Runes for iPhone and iPad. 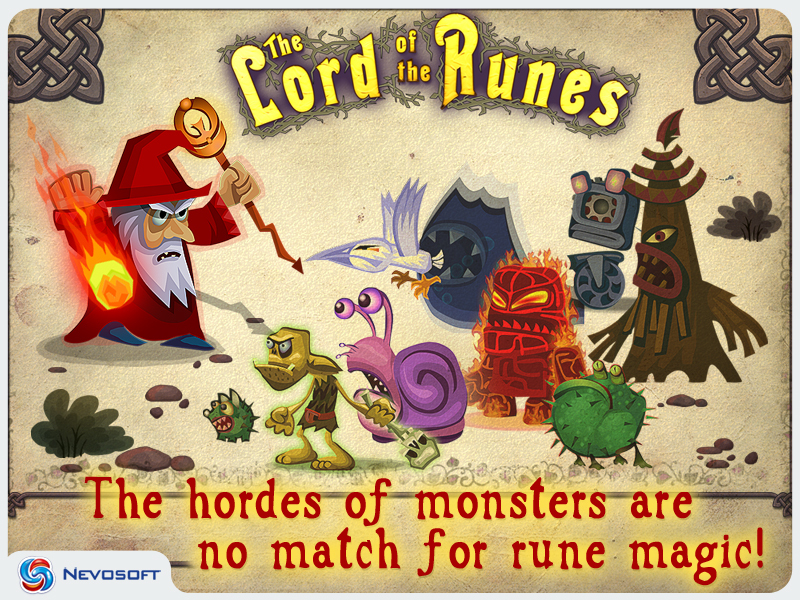 Download game Lord of Runes for iPhone and iPad for free at Nevosoft.Com. 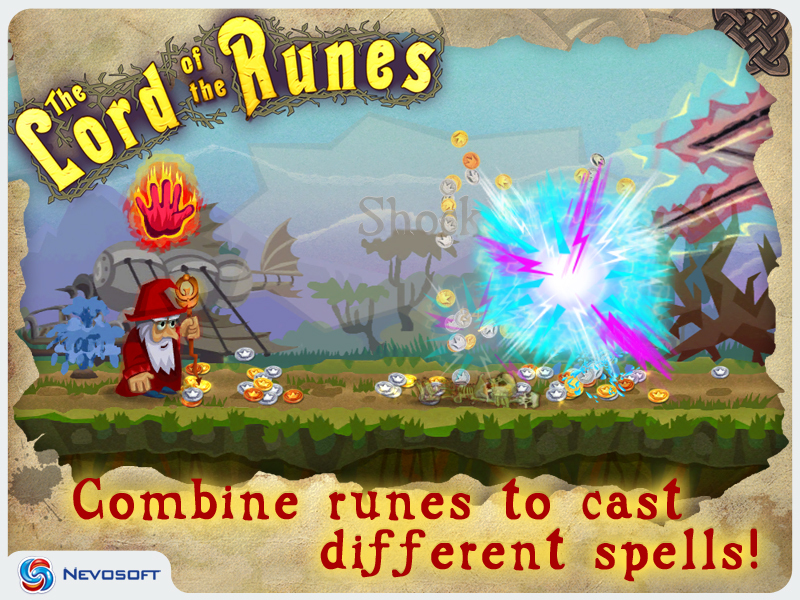 Description, walkthough of Lord of Runes for iPhone and iPad, buy game. In the times of old, when the earth was in darkness and fear reigned, a powerful wizard decided to go on a quest to rid the earth of evil monsters. The wizard faced a long and difficult road filled with hideous, dangerous creatures that will challenge him every step of the way. But the magic of ancient runes is a powerful ally. 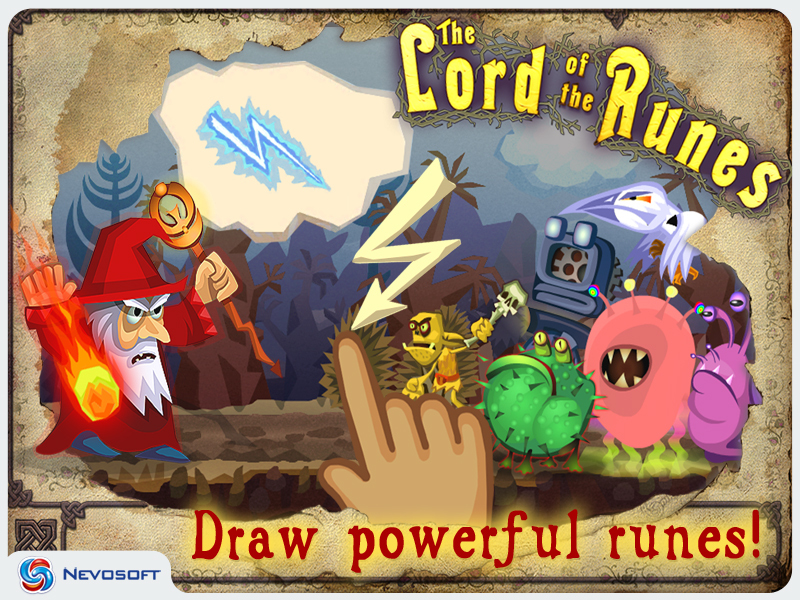 Lord of the Runes is a fascinating arcade game with unique game play where your every move turns into magic. Simply draw a rune to cast a spell! The secret of success is selecting the right rune for each situation. It’s easy to learn, but as the levels get harder, you’ll have to work hard to become a master of rune magic. 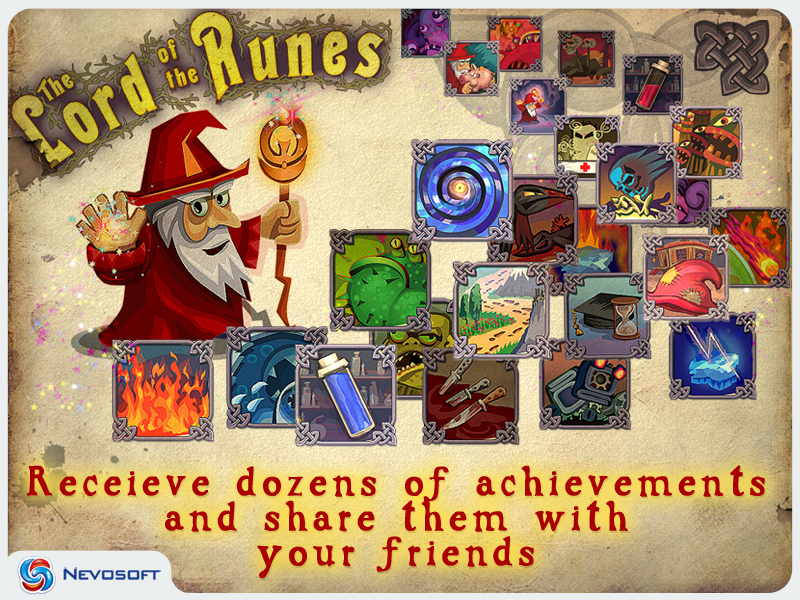 We are eager to add more runes, monsters and zones. But, it all depends on how much you like the game!